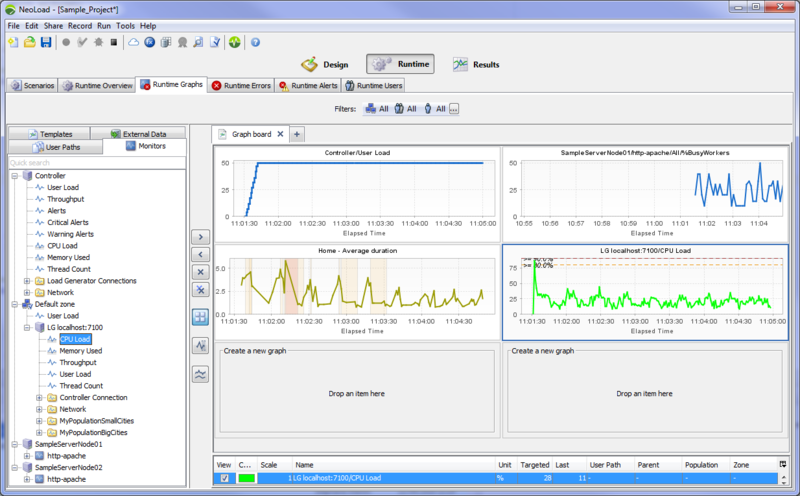 Statistics, monitors set on the servers and External data can be plotted on graphs during the test runtime. When the test is first run, NeoLoad creates default graphs. These can be modified during the test, or new graphs can be created. 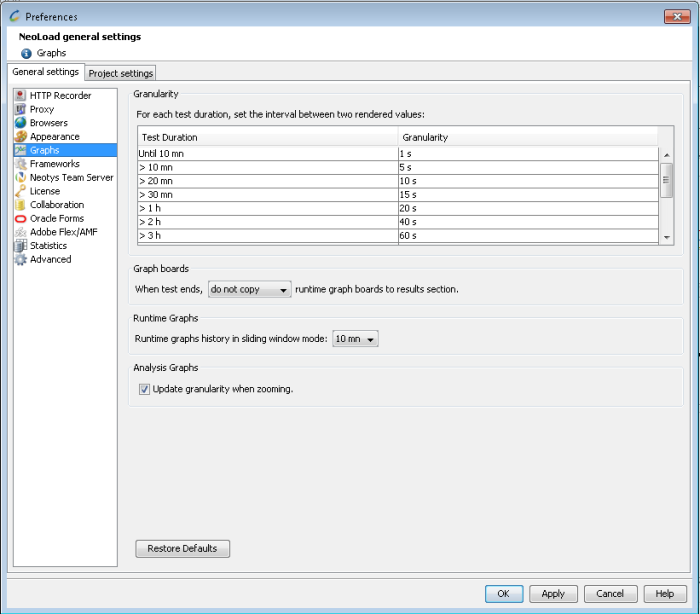 When subsequent tests are run, NeoLoad restores the settings of the graphs used in the previous test. The legend panel displays the legend for the selected graph. Information: Depending on the monitor value sampling interval, there may be a delay before the curves are displayed on the graph (30 seconds using the default parameters). Statistics can be accessed in the User Paths tab. Duration (scatter): Allows to plot a scatter graph displaying the Transaction duration values recorded during a test. This may reveal, for example, that the specific period when a given Transaction duration is above a given limit is mostly during the first hour of the test. 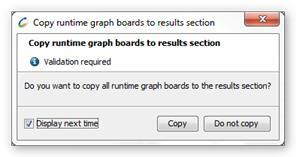 Once the scenario runtime is completed, Neoload suggests copying the graph Board(s) and their graphs to the Results section.